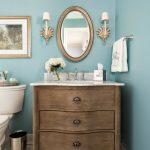 Dream bathroom alert! Echelon Custom Homes hit it out of the ballpark with this gem! 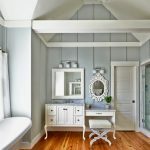 Not sure I could ask for anything more…plenty of storage, a dreamy paint color (“Spa” from Sherwin-Williams), pretty tile, a luxe soaking tub and tons of light pouring in! Love the dropped makeup vanity too, that’s a must in my next bathroom! Take a tour of the rest of the home, and visit two more of my favorite Echelon Custom Homes here and here! The natural light in this bathroom makes it look like the ultimate sanctuary! 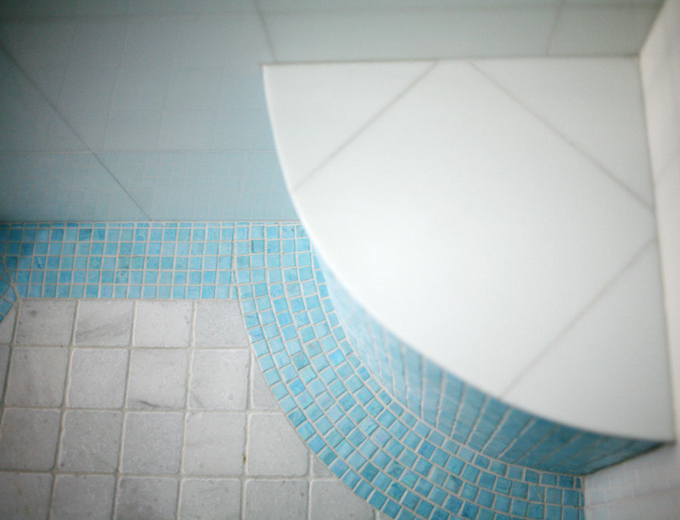 Love the tiling details, as well! 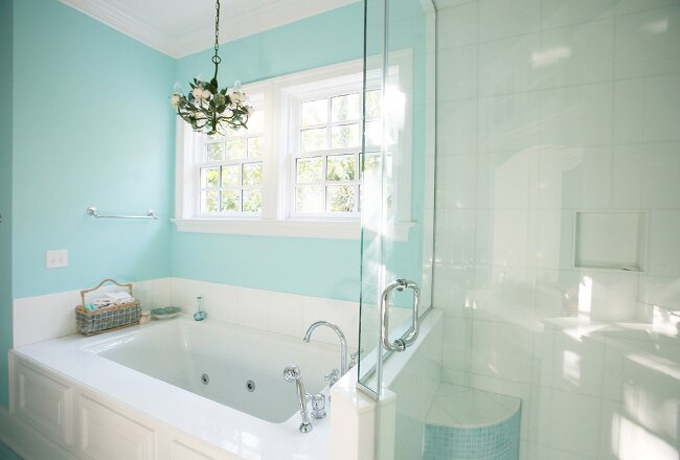 Beautiful,… but the chandelier over the bathtub would not pass code inspection(here in Fl). 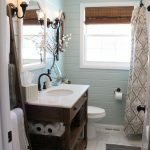 I had to put recessed shower rated lights over the tub, and save the chandelier for the middle of the room. 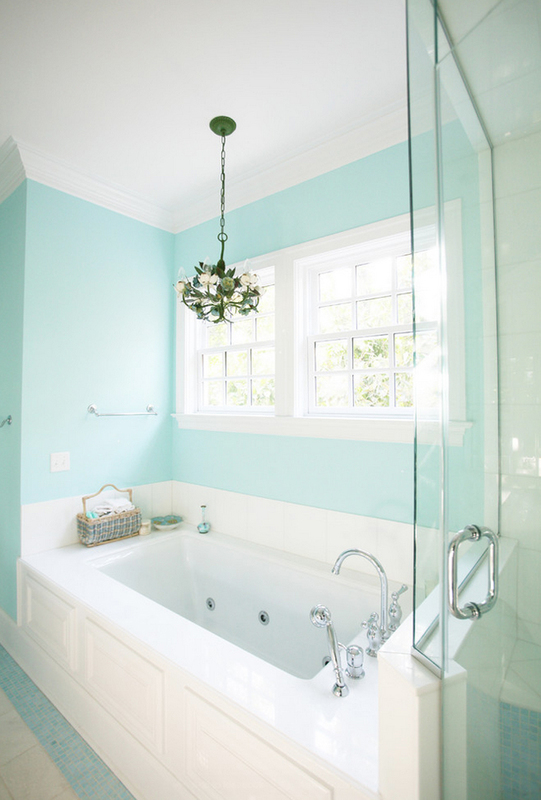 What a delightful bathroom, loving the colors and all that natural light. Stunning!! As I wrote when I just pinned this, I'm prettty sure this is what the bathrooms like like in heaven! 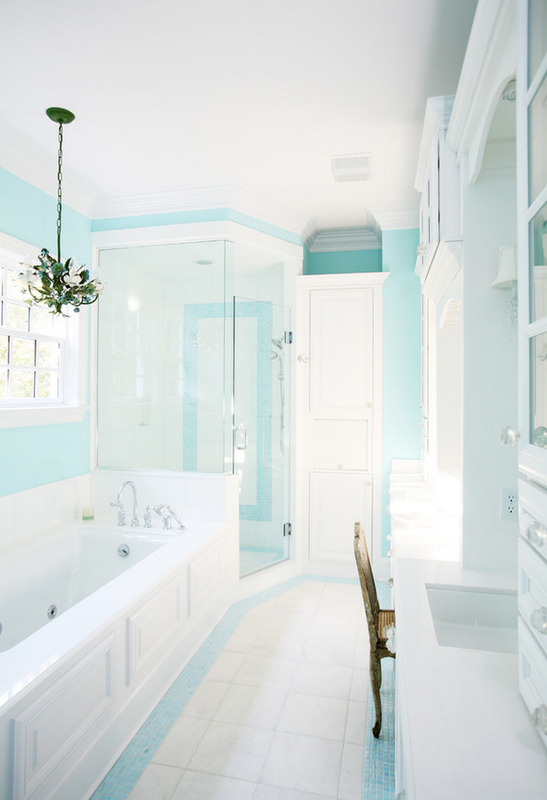 LOVE this bathroom! 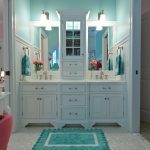 I just moved and am dieing to re-do mine…someday! Such a great house, I love what you've done. So cute and beautiful interior designing and interior furnishing!like the interior decoration very much!